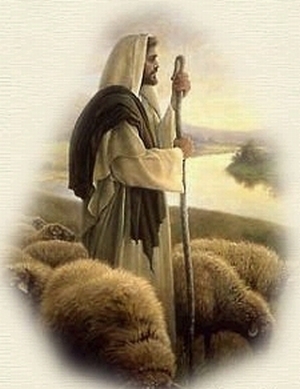 Shepherds and the glory of the Lord in the same sentence. Shepherds enjoyed a great heritage in Israel with Abraham, Moses, and David as notable shepherds and God being identified through Psalm 23 as a great shepherd. But by this time in Israelite history, they were not highly regarded. They smelled like sheep. They spent their time with sheep. They were not really clean and religious enough to be considered spiritual. 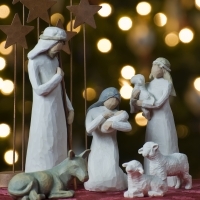 So when God chose to announce the birth of Jesus to shepherds with his contingent of angels he makes his point clear: Everyone is loved by God, everyone has access to God, and everyone is desired by God. Holy and Almighty God, I confess to you that sometimes the outward appearance and reputation of a person colors the way I treat them. But today, I'm convicted of how much you want everyone to know about your grace in Jesus. Give me a heart to love all people and a passion to share your grace with them. In the name of Jesus I pray this. Amen.